Enjoy the luxury of your own private view of the greatest monument of love - Taj Mahal. Wake up to the glorious sight of the red stone monument the Red Fort, swept away with the romance of Taj Mahal by moonlight. The Taj Residency is located in close proximity of the greatest monument of love - Taj Mahal and Red Fort. 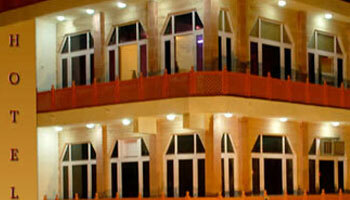 The Taj Resiedency Hotel, Agra is a perfect embodiment of all qualities of three star Hotels. Whether you’re looking for a luxury stay or homely comfort in Agra, we have an ideal hotel for you. Airport Transportation, Security Guard, Doctor on Call, Laundry Facilities, Backup Generator, Parking, Travel Counter, Breakfast Services, Currency Exchange, Room Service. Attached Bathroom, Air Conditioning Room, H/C Water, Cable/Satellite TV, House Keeping, Iron/Ironing Board, DVD Player, Toothbrush/Razor on Request, Wakeup Calls.